This indulgent selection contains high quality Scottish products. Mackies icecream is made on the family farm in neighbouring Aberdeenshire using milk from the farm's dairy herd of Jersey cows. 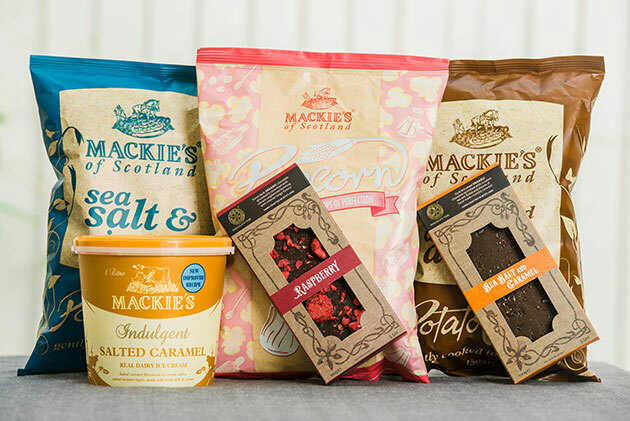 Mackies Crisps are made on the family farm just outside Dundee using potatoes grown a few miles from your Hideaway. We haven't found a Scottish cocoa bean farmer yet but the delicious hand made chocolate is produced by a chocolatier in Edinburgh, using the finest imported cocoa beans.